Marriage. 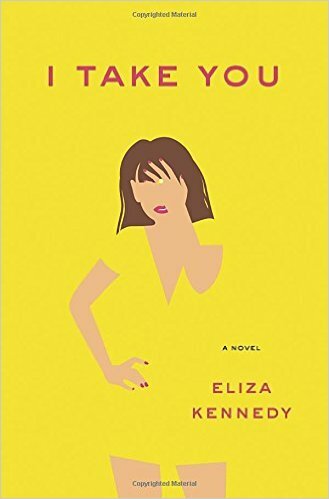 Eliza Kennedy’s debut novel, I Take You, is not the book to give your mother for her birthday. Unless, of course, your mother is slutty and unfaithful, and likes novels packed with immoral behavior. I, though, am not your mother, and I found this novel to be hilarious. Protagonist Lily Wilder, a lawyer, is marrying Will, an archaeologist. The action begins six days before the wedding, and Lily can’t stop sleeping with men other than Will. The action kicks up a notch when her multiple step-mothers arrive on the scene, and Lily has to take a deposition in an important case. By the time Lily’s grandmother arrives, I couldn’t stop laughing. There are about a dozen candidates for president who would condemn this book, so if that’s not recommendation enough for you, take my advice: give this debut novelist a chance and ready this funny and subversive novel. Rating: Four-star (I like it) Click here to purchase I Take You from amazon.com. Taxing. 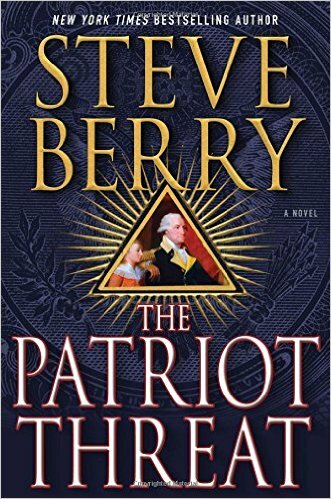 The tenth novel by Steve Berry to feature protagonist Cotton Malone is titled, The Patriot Threat. This time out, Malone is drawn into a case that might prove that the 16th amendment might be invalid. If evidence that the federal income tax is invalid falls into the wrong hands, the United States economy could go into freefall. Berry entertains readers who like this sort of thing by providing a series of historical facts, and then speculating with abandon. I’ve gotten so used to Malone from this series that I have become willing to overlook the shortcomings of the prose, and found myself well-entertained by an exciting story. Rating: Four-star (I like it) Click here to purchase The Patriot Threat from amazon.com. Swindle. 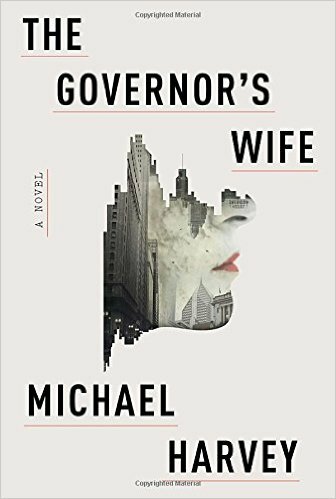 The latest novel by Michael Harvey to feature Chicago private eye Michael Kelly is titled, The Governor’s Wife. Kelly’s latest investigation involves his search for a missing former governor, who disappeared after being sentenced to prison. The wife of the governor becomes a focus for Kelly’s investigation and that’s when the action heats up. I zipped through this novel quickly, and was thoroughly entertained by plot, character and dialogue. Readers who like crime fiction are those most likely to enjoy this installment and this series. Rating: Four-star (I like it) Click here to purchase The Governor’s Wife from amazon.com. Skol. 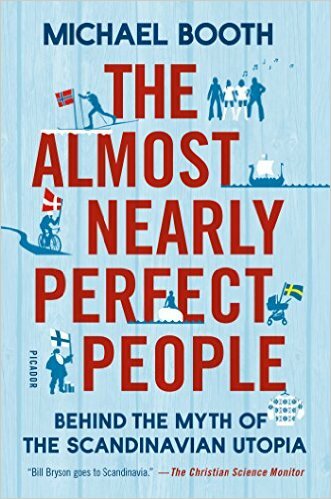 Even if your connection to Scandinavia is limited to Ikea, Volvo or a certain vodka, chances are you’ll enjoy reading Michael Booth’s book titled, The Almost Nearly Perfect People: Behind the Myth of the Scandinavian Utopia. Booth is an English journalist who has been living in Denmark with his Danish wife. He brings that outsider-insider perspective to his tour of the five Scandivanian countries, and injects just the right amount of humor. I was thoroughly entertained, and even learned a thing or two. Rating: Four-star (I like it) Click here to purchase The Almost Nearly Perfect People from amazon.com. Pursuit. 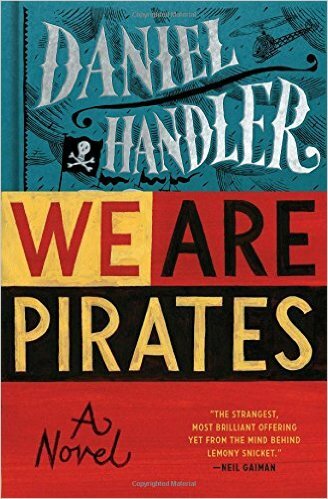 I picked up Daniel Handler’s adult novel titled, We Are Pirates, since I knew him as the author of the children’s Lemony Snicket books. Handler explores the ways in which adolescents and adults pursue happiness. Set in and around San Francisco Bay, the two main characters are fourteen-year-old Gwen and her father, Phil. I found the sections of the novel in which Gwen dominates are energetic and exciting, while the parts featuring Phil are morose and dull. While both Gwen and Phil are pursuing what they think will make them happy, their differences are striking, and the plot never quite pulled them together in a way that satisfied me. Rating: Three-star (It’s ok) Click here to purchase We Are Pirates from amazon.com. Manipulation. I did not read Attica Locke’s 2009 debut novel titled, Black Water Rising, but now that I have read her second novel featuring protagonist Jay Porter, I may go back and read the first novel. 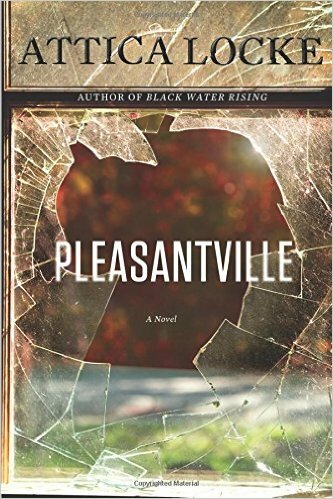 Locke’s novel, Pleasantville, describes a community in north Houston where blacks are striving to succeed. Locke presents a large cast of characters and families, drawing readers into schemes of manipulation and self-dealing. Along the way, readers will enjoy finely written prose, great dialogue and an engaging plot. Readers who enjoy a well-told story with wise insight into local politics are those most likely to enjoy reading this novel. Rating: Four-star (I like it) Click here to purchase Pleasantville from amazon.com. Holiday. 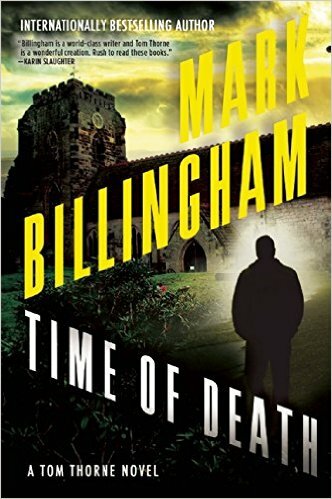 During your next vacation, consider reading the thirteenth Tom Thorne novel by Mark Billingham titled, Time of Death. Detective Inspector Thorne is on holiday in the Cotswolds with his lover, Detective Sergeant Helen Weeks. There’s been a kidnapping in Helen’s hometown, and she returns home after many years to comfort an old friend whose husband has been arrested. While outside their jurisdiction, Tom can’t stay on the sidelines and he finds himself taking a busman’s holiday. Billingham’s plot, characters and dialogue will satisfy all fans of crime fiction. Rating: Four-star (I like it) Click here to purchase Time of Death from amazon.com. Versatility. 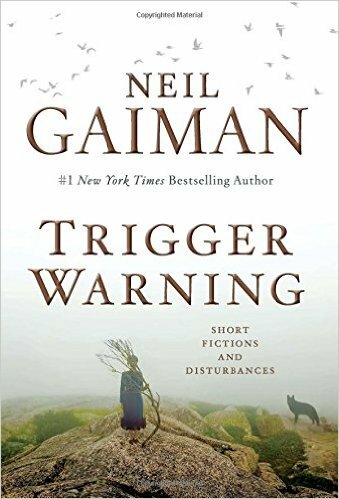 Neil Gaiman tells great stories in his fiction, and the short pieces in his collection titled, Trigger Warning: Short Fictions and Disturbances, reveal his talent on every page. Dr. Who fans will especially enjoy the episode he wrote for that program. Gaiman’s imagination seems to know no bounds, and as he draws readers into the twists and turns of his creations, he displays the versatility of his writing. I enjoyed every piece in this collection from the shortest to the longest. Rating: Four-star (I like it) Click here to purchase Trigger Warning from amazon.com. Protagonist. 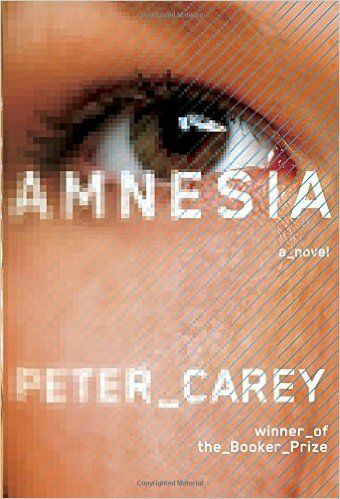 I don’t think Peter Carey wrote his novel titled, Amnesia, for a vast audience. Most general readers are likely to lose patience at being confused, and only Australian readers will get his many local references. I liked the novel because I was enthralled by protagonist Felix Moore, and by his determination. I liked Carey’s riff on our intentional forgetfulness so that our lives can move on. The political shenanigans come across as universal to any location. The topic of malware brings an immediacy to contemporary experience. The prose illustrates Carey’s great writing skill, and fans of literary fiction will appreciate his talent as it is displayed in this novel. Rating: Four-star (I like it) Click here to purchase Amnesia from amazon.com. Opaque. The standard by which I measure biographers of United States presidents is Robert Caro and his fine work on making sense of Lyndon Johnson by taking a clear point of view on the subject. 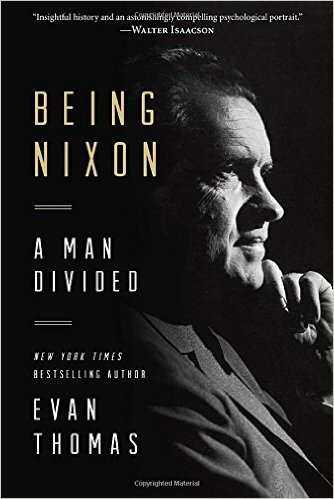 I had high expectations upon opening Evan Thomas’ biography of the enigmatic Richard Nixon titled, Being Nixon: A Man Divided. I kept waiting for Thomas to sort out Nixon in a way that would answer questions. I had the sense that Thomas came away from this project with many unanswered questions, and was as divided as the subject when it comes to unresolved contradictions in behavior and action. I enjoyed this book best when it enhanced some aspects of Nixon’s personal life. I liked his interest in the movies, and the ways in which Nixon played music loudly, especially his favorite Victory at Sea album. Readers who love politics are those most likely to enjoy reading this book. For those expecting greater clarity about Nixon, there are tidbits here, but RN remains opaque even after 600 pages. Rating: Three-star (It’s ok) Click here to purchase Being Nixon from amazon.com. Creepy. 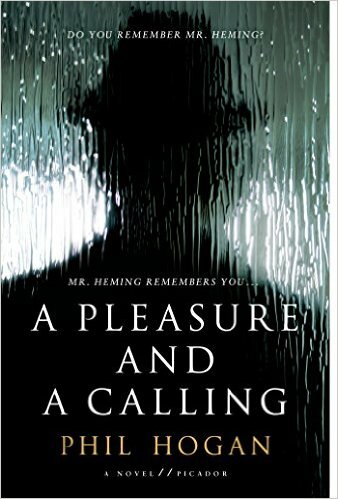 I got the chills while reading Phil Hogan’s novel titled, A Pleasure and a Calling. Protagonist William Heming is an estate agent who blends into the community with an invisibility that allows him to not be noticed. That suits him well, since he delights in slipping in an out of houses he has sold over the years, and for which he has retained the keys. (Message to all new homeowners: change the locks!) Mr. Heming keeps things so close to the vest that people in his real estate office don’t know where he lives. Hogan presents a character study in this novel of a criminal and psychopath that is creepy thanks to his ordinariness. Read this novel, and start looking over your shoulder, or checking under the beds or in the closets before turning in for the night. Rating: Four-star (I like it) Click here to purchase A Pleasure and a Calling from amazon.com. Struggle. 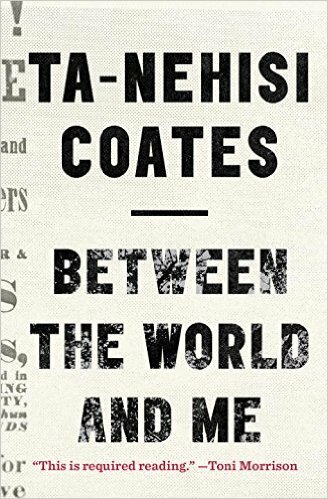 The raw power of the prose in Ta-Nehisi Coates’ book titled, Between the World and Me, raised my heart rate and held my breath. I’ll never really know or fully understand Ta-Nehisi Coates’ world. His experiences as a black man who has lived in rough neighborhoods seems very distant from my privileged life. But the struggle of his life is universal, and his love for his son is shared by all parents. He structured this book as letters to his son, and he stresses the struggle, the fragility of life, and the consequences of choices. We seem to be living in a time of permanent polarization, with deep racial tension, yet we hold more in common than we acknowledge. We live in one world and between us and that world there are perils and we long to protect those we love from these dangers. Coates puts voice to this in ways that are unique and universal. Read this book and see his life and your own. Join the struggle. Rating: Five-star (I love it) Click here to purchase Between the World and Me from amazon.com. Skills. 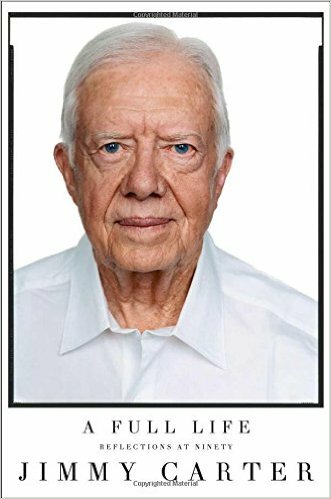 Jimmy Carter’s latest memoir, A Full Life: Reflections at Ninety, provided exactly what I expected and a bonus. The former president sweeps through recollections about his life from childhood to the present, using anecdotes about things big and small in his ninety-year lifetime. He writes in a conversational style that makes his points clearly, without a lot of fuss. Whether you agree or disagree about things from his political life, his writing makes his views and personality vivid. The bonus for me was an insight about his many different skills. In every chapter, there’s an example or two about Carter doing something by himself. Sometimes, it’s making furniture for his family or friends. Other times, it’s learning about running a farm including repairing equipment or his making a personal plea to a world leader. It made me wonder whether one of the shortcomings of his presidency was a tendency to do things himself rather than rely on others. Rating: Three-star (It’s ok) Click here to purchase A Full Life from amazon.com. Crashes. Summer reading often demands a great story with lots of characters that requires some attention to detail, but never taxes a mind that might be dulled by a gin and tonic or two. 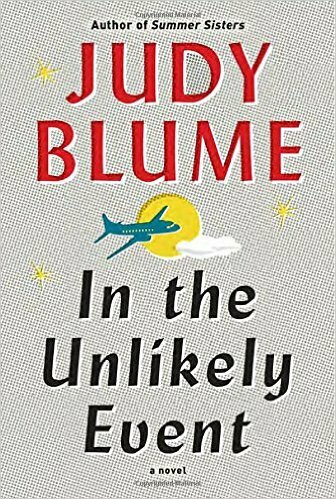 I remained sober while reading Judy Blume’s novel titled, In the Unlikely Event. Over the course of two months in 1952, in Elizabeth, New Jersey, where Judy Blume grew up, three planes crashed in the community. From this true story, Blume delves into the lives of a huge cast of characters on the ground and in the planes. The result is an exploration of fear and possibility, a reflection on all the unlikely events that make up everyone’s life. I was entertained, and time flew while I read this engaging story. Rating: Four-star (I like it) Click here to purchase In the Unlikely Event from amazon.com. Ma. I can’t think of a single element that Anne Enright could have gotten better in her novel titled, The Green Road. The prose is lyrical, and never overdone; she chooses the exact word that fits in every finely crafted sentence. The characters in the Madigan family are so expertly developed that every page adds to some insight about our human condition thanks to Enright’s insight into people and our emotional depths. Four siblings living in different parts of the world couldn’t be less alike until we see them in settings with their mother. As Ma draws her children home, the world narrows and the unimportant gives way to the essential. Fans of finely written literary fiction will find a lot to enjoy from reading this novel. Rating: Five-star (I love it) Click here to purchase The Green Road from amazon.com.